This client-focused approach is one of the reasons our law office's attorneys hold honors that include being listed in the American Society of Legal Advocates' Top 100 Family Lawyers in Illinois and holding an Avvo "Excellent" rating. At our practice, we have the ability to take a case from start to finish. Our team is proficient in courtroom settings as we have a former public defender and a former prosecutor on staff. Though we strive to resolve cases before they ever reach trial, we are prepared to go there and battle for our clients in order to give them the best chance at a bright future. Outside the walls of our law office, our team is committed to our communities. We raise money for local and international causes, such as Women in McHenry County, which empowers women to re-enter the workforce. 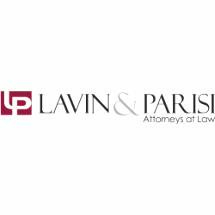 Lavin & Parisi, Attorneys at Law, takes cases throughout Lake and McHenry counties. We offer free initial consultations and accept credit cards. Our attorneys also serve clients through our estate planning practice.